Fans Can Save $10 on Subscription with Promo Code "TINCAPS"
FORT WAYNE, Ind. - The Fort Wayne TinCaps are expanding their broadcast coverage for the 2019 season. For the first time, TinCaps home games at Parkview Field can be seen on MiLB.TV. TinCaps home games will also continue to be broadcast throughout Indiana on Comcast Network 81, in addition to select markets in Michigan. With a subscription to MiLB.TV, not only can fans watch all 70 TinCaps home games, but also 50-plus TinCaps road games around the Midwest League. 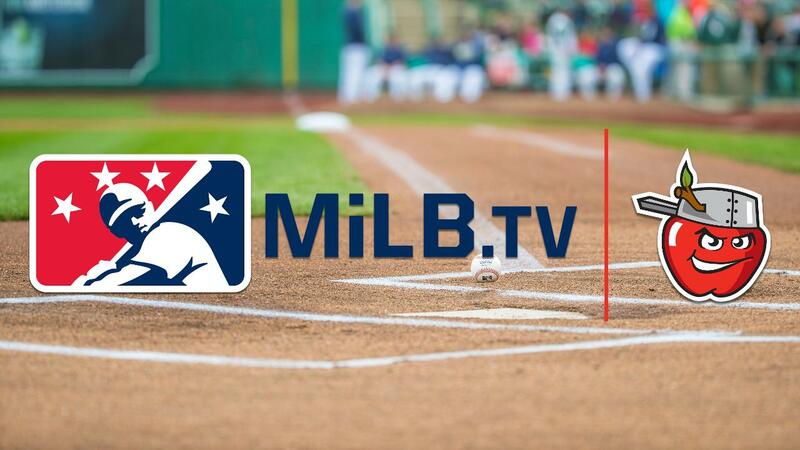 On top of that, MiLB.TV subscribers have access to view games across all levels of Minor League Baseball-more than 6,500 games in total streamed live, including All-Star and Postseason games. "We're excited to showcase our broadcasts to a larger audience than ever before," said Michael Limmer, TinCaps Vice President for Marketing & Promotions. "We hope as many fans as possible use our promo code of 'TINCAPS' to save $10 on their subscription and enjoy the excitement of TinCaps baseball, and Minor League Baseball overall." Yearly subscriptions to MiLB.TV are available for $49.99. Monthly subscriptions are $12.99 per month. The promo code "TINCAPS" will save fans $10. Click here for more details. The TinCaps open up their 2019 season on Thursday, April 4 (7:05 p.m.) against the Lansing Lugnuts (Toronto Blue Jays affiliate). Broadcast coverage on MiLB.TV and Comcast Network 81 will begin at 7 p.m. Tickets are available at TinCapsTickets.com, 260-482-6400, and the Parkview Field Ticket Office. Fort Wayne is the Class A affiliate of the San Diego Padres, who have the No. 1 ranked farm system in baseball according to MLB.com, ESPN, and Baseball America. Though the TinCaps' 2019 roster has yet to be announced by the Padres, potential top prospects who could potentially be on the team include starting pitcher Ryan Weathers , infielders Xavier Edwards and Tucupita Marcano , and catcher Blake Hunt .